The Alcatel OneTouch Watch is now available to pre-order in the UK and the device will retail for £97.98 including taxes. The new Alcatel OneTouch Watch was announced at CES in January and the device is compatible with Android and iOS smartphones. The OneTouch Watch comes with a 1.22 inch circular display that has a resolution of 240 x 204 pixels and it features a built in health tracker, the device has an IP67 rating, there is also a 210 mAh battery. This new smartwatch from Alctael comes with Bluetooth 4.0 LE and it is compatible with Android devices running Android 4.3 and above and iOS devices which are running iOS 7.0 and above. 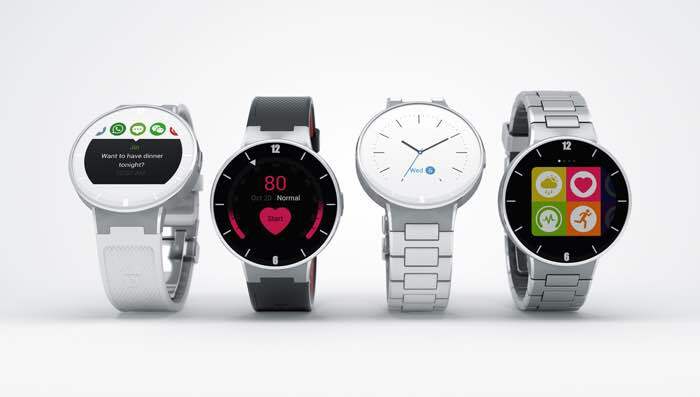 You can find out more details about the The Alcatel OneTouch Watch at the link below, the device is now available to pre-order for £97.98 including taxes and it will start shipping in June.